in astronomy, alignment of two celestial bodies as seen from the earth. Conjunction of the moon and the planets is often determined by reference to the sun. ..... Click the link for more information. it changes gradually over long periods in all latitudes. An antique garnet gem showing a dog surrounded by solar ray, based on Roman superstition relating to the “dog days” between July 3 and August 11, when warm weather was thought to be caused by the rising and setting of the dog star, Sirius. Reproduced by permission of Fortean Picture Library. Dog days are a 40-day period, usually given as July 3 to August 11, that is regarded as being the hottest time of the year. This period was originally calculated from the heliacal rising of Sirius, the Dog Star, after which dog days received its name. The period of greatest heat in summer. The Dog Days are known as the hottest days of the year in the Northern Hemisphere and usually occur in July and early August. In ancient times, the sultry weather in Rome during these months often made people sick, and they blamed their illnesses on the fact that this was the time of year when Sirius, the Dog Star, rose at about the same time as the sun. Because Sirius was the brightest star, it was thought to add its heat to the sun, producing hot, unhealthy weather. The ancients used to sacrifice a brown dog at the beginning of the Dog Days to appease the rage of Sirius. Although there are many different ways of calculating which days in any given year are the dog days, and how long they last, it is impossible to be precise. Nowadays it is generally assumed that they fall between July 3 and August 11—slightly later than they occurred in ancient times. Because of their association with the Dog Star, various beliefs have sprung up involving the behavior of dogs during this period. 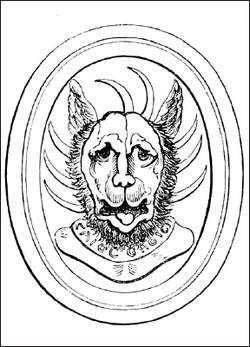 In the 16th century it was believed that dogs went mad during the Dog Star season. Another name for this time of year, the canicular days, comes from the Latin word canis meaning "dog." That mix allows Dog Days to present shows featuring characters of varied ages--something harder to do during the regular season, when 20-something students would have to be charged with portraying characters in their 50s or 60s. The dog days are summer's intermission: distinctly removed from June graduations and July fireworks, yet reminders that we're not quite ready to let go and embrace the stuff to come: football, school and an Aug.
05pm (Fri/Sat/Wed); Diary Of A Wimpy Kid: Dog Days (U) Fri-Thu 11. Kinney has written two further books in the series since Dog Days and a new instalment, The Third Wheel, is published in the UK on November 14, so we face the grim possibility of Greg tormenting us on the big screen for years to come. In the dog days of summer, mosquito bites are a regular occurrence. Having taken delivery of the ISS model in January, the company has already seen it perform in the depths of winter as well as the dog days of summer. Dog Days, a daycare for dogs in Bentonville, is the only local store that carries the products, but they're also available online at www. Football players are being worked to "death" during the dog days of summer to prepare for an August game. But when the dog days become too plentiful, it can be symptomatic of a problem. They would have missed much of the busy Christmas season and gone almost right into the dog days of winter, he adds. From an Associated Press story datelined Huntsville, Alabama: "Miss Millie and Sir Frazier are ready to while away the dog days of summer in wedded bliss.